In Alicia Jo Rabins’ second collection, Fruit Geode, the terrifying power of maternal love coexists with sorrow for the loss of one’s younger self. In lyrical, unflinching poems, Rabins investigates the passages of pregnancy, birth, and early infancy through a constellation of ancient and modern experience: Sumerian storm demons, astronauts, herbal medicine, Neanderthal DNA, Jewish mysticism, climate change. In tracing the ritual mysteries of motherhood, Fruit Geode examines what it means to be transformed, to leave behind our certainties and walk into the unknown. “I regard my former life / With a distant affection, / As an astronaut / Looks through a porthole / At the small green planet / Where she used to live,” writes Rabins. This is a book about what it means to live in a human body, how love changes us, and what we pass on from one generation to the next. Alicia Jo Rabins is a poet, composer, performer and Torah teacher. Her book Fruit Geode, published with Augury Books, was named a finalist in poetry for the Jewish Book Awards. Divinity School, her first book of poetry, was selected by C.D. 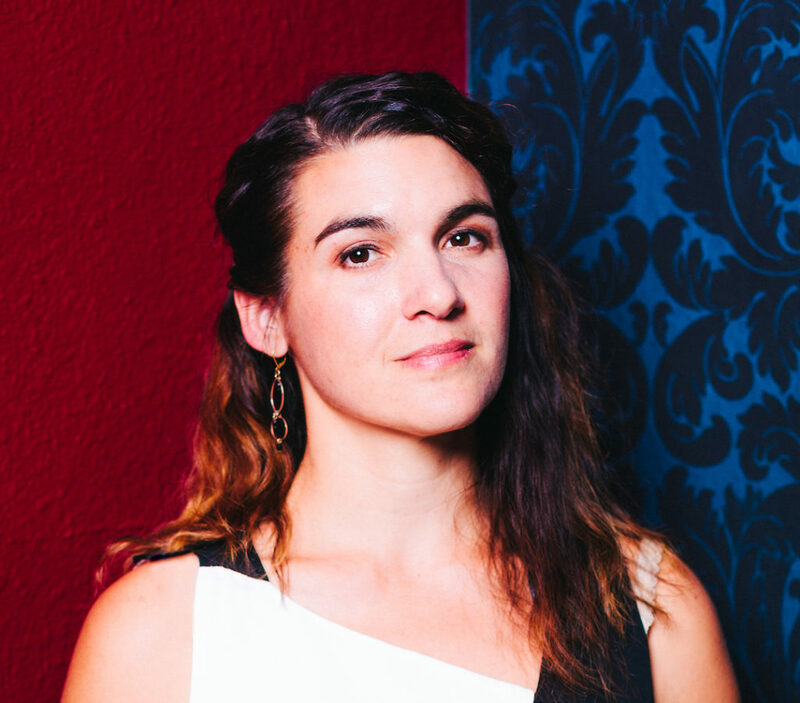 Wright for the APR/Honickman First Book Prize in 2015; her poems and personal essays have appeared in Ploughshares, Tin House, Tablet, and American Poetry Review. An internationally touring violinist and singer, Rabins is the creator and performer of Girls in Trouble, a feminist indie-folk song cycle about women in Torah, and has toured Central America and Kuwait playing fiddle music as a cultural ambassador for the US State Department. Alicia lives in Portland, OR with her partner and two children. She loves plants, ancient texts, and coffee. Visit her at aliciajo.com. How does a body do what it does: make love, mistakes, create life, exist after life; how does a body evolve, celebrate, regret, reconsider its big and small moments: these are the passionate concerns of Alicia Rabins’ Fruit Geode, a book that I could not stop reading once I started, a book that drew me in with intimacy and force and then grabbed my heart hard, which is to say, if you have a body, this book is a must read. Against the tide of received wisdoms about mothering and loving, one can only marvel at the personal cosmology Alicia Jo Rabins builds in these poems. Lyrically bent towards both gratitude and wonder, yet defiance, too, she honors every shade of emotion crossing the threshold into motherhood and marriage. Fruit Geode amounts to a kind of ritualistic reclaiming of the body and spirit as mother and artist in the presence of both her progeny and her ancestors who watch as she spirits herself into song again and again. Pregnancy is literal embodiment, and Alicia Jo Rabin’s Fruit Geode is a translation of this experience into literary embodiment. She scouts out for us the perfect metaphors: “slot machine,” “seed-lined ark,” “black pond.” I love the new-mother hyper-attention here, to the mournful and the sublime, the sacred and profane, the ancient and brand-new. “Now that I have been / broken, / I can begin,” Rabin writes, and I recommend this book to anyone beginning to learn how to parent, how to be gentle, how to awaken to mortality. These poems speak, with incandescent candor and uncanny insight, for everyone whom life has ever ambushed, who discovers she was not who she thought she was or was supposed to be, for every woman changed by giving birth. 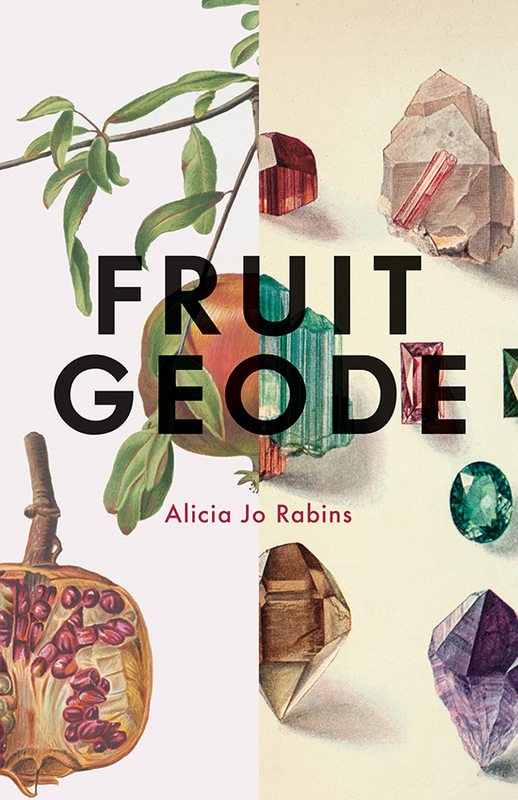 Alicia Jo Rabins’ “fruit geode” opens to a brilliant ripeness—a daring 21st century vision informed by an ancient wisdom. INTERVIEW/ARTICLE, Lit Hub: Alicia Jo Rabins, musician and writer, asks some well-known musicians who are also writers how their writing informs their music, and vice versa.